When it comes to doing a job, my husband always gives it his all. It may take a little extra prodding at times to get started but when Troy does something, he gives it 110%. This is true when it comes to being a teacher, deep cleaning our floors, cutting our lawn or taking care of our cars. 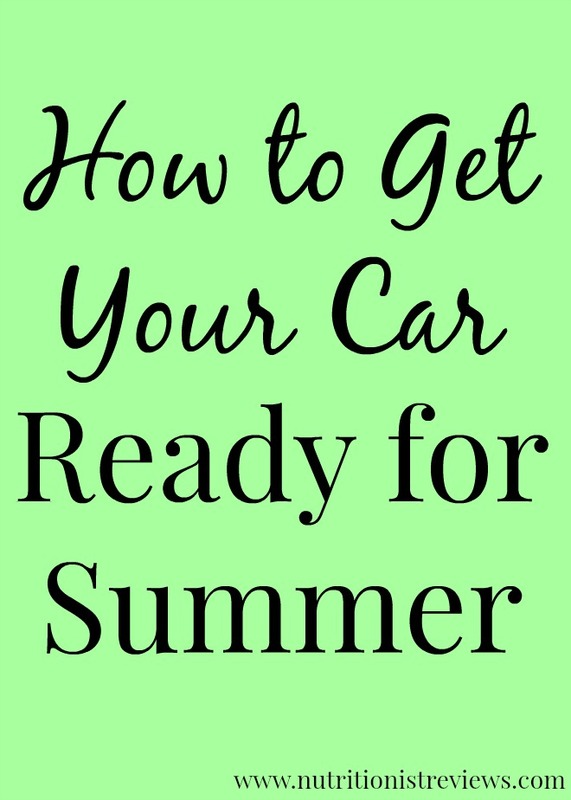 Today, I am going to talk about how to get your car ready for summer. Troy does all of our car care including oil changes, cleaning, changing the breaks, etc. He had about 9 years of experience in the auto industry before becoming a teacher so he knows a lot. While washing your car for example may take 10 minutes for some people, this is a couple hour job for Troy. He likes to shine the tires, wipe everything down perfectly and use his special car products to make our cars (particularly his) look perfect. Troy takes a lot of pride in our cars and always goes the extra mile to make them look great. After taking a beating all winter by living in Michigan and the crazy amounts of snow and therefore salt we have, our cars needed some love. Getting an oil change every three months or so ensures that you are getting the best gas mileage possible and helps to protect the engine and improves performance. You can do the oil change yourself or get it done at a place. Look for deals because places are always offering discounts. This time, we actually took our car to the car wash but usually, Troy does the car wash himself since he likes it to look a certain way and it can save money over time. Getting your car waxed is important as well to help repel dirt and grime and helps your car look cleaner for longer. After a long winter, there is always a ton of pine needles, leaves and dirt in my car and it needs to be vacuumed out and washed. Especially since having Adalyn, we have a million Cheerios, crackers, bars, etc. in our car that needed to be cleaned. Washing down her car seat was the biggest job of the whole cleaning! My husband likes to use tire shine for a new look to older tires and fabric cleaner for the inside and it helps to deodorize your car. My husband recommends cleaning your headlights regularly to increase visibility. Yuck, that old air filter was dirty and had to go! 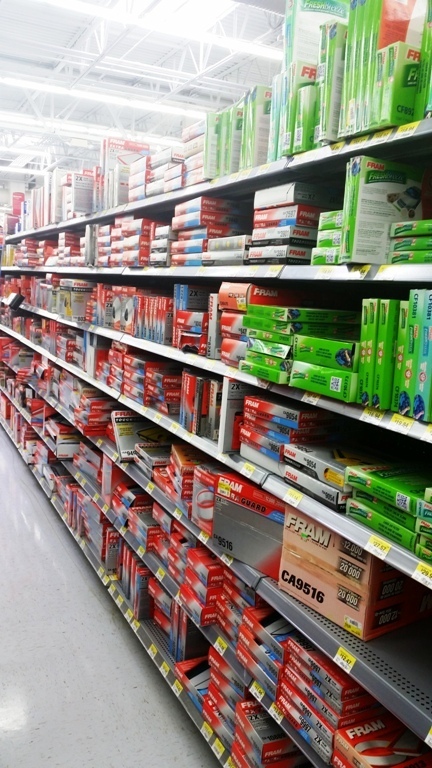 We use the FRAM Extra Guard Air Filters that we purchased at Walmart for our cars. Troy says that it is really simple to change and it can be done in 5 minutes or less. Changing the air filter are the engine's first line of defense. A clean air filter helps to improve airflow and prevents dirt and dust from getting in the engine. It can increase accelerations, horsepower and improves engine performance. It is recommended to change your air filter every 12,000 miles. Follow recommended change intervals as noted in your vehicle owner's manual. Find FRAM products at Walmart. Very timely article since I had scheduled Thursday (tomorrow) to get some air in my tires and spend a free gift card at Pep boys (just a mile away luckily). I need to put on a brand new car bra that I've procrastinating about. Of course the car needs cleaned first before putting it on so I need to step it up!! Doing things yourself saves money, you're right about that!